Digital transformation has already begun. The time of localized, fractured and siloed product development is coming to an end. Unified platforms and new technology that pool data, allowing for input from diverse stakeholders – from engineering, through supply chain, to operations, and even those external to organizations are already being adopted. However, research shows that this digital transformation is happening slowly because many teams lack the appropriate digital infrastructure to access the data that they need. So, what steps need to be taken to effectively leverage transformative digital technologies such as AI and machine learning? 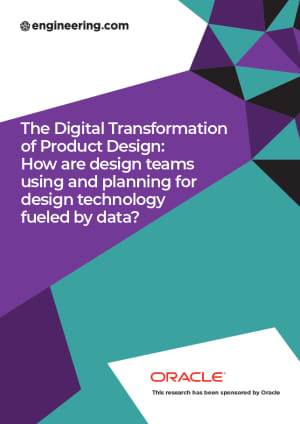 How product development teams are using data to guide their decision making. How to avoid common missteps when integrating digital technology into your product development scheme. What data-driven technologies are on the horizon, and how they will be used. Fill out the form on this page to download your resource. This research report has been sponsored by Oracle.